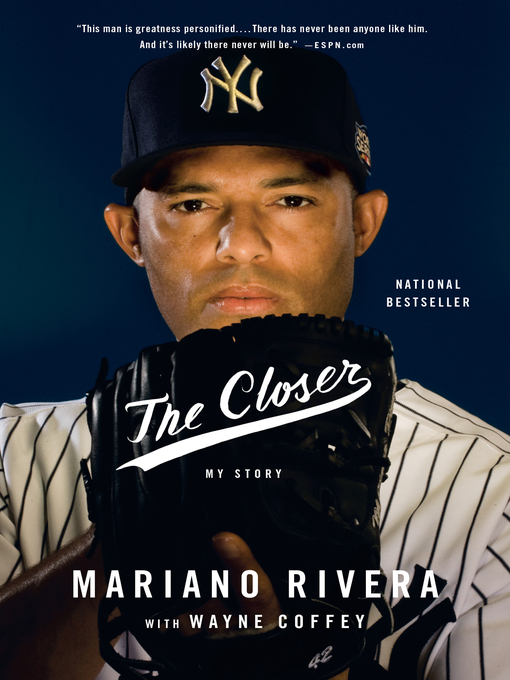 In The Closer, Rivera takes readers into the Yankee clubhouse, where his teammates are his brothers. But he also takes us on that jog from the bullpen to the mound, where the game — or the season — rests squarely on his shoulders. We come to understand the laserlike focus that is his hallmark, and how his faith and his family kept his feet firmly on the pitching rubber. Many of the tools he used so consistently and gracefully came from what was inside him for a very long time — his deep passion for life; his enduring commitment to Clara, whom he met in kindergarten; and his innate sense for getting out of a jam. When Rivera retired, the whole world watched — and cheered. In The Closer, we come to an even greater appreciation of a legend built from the ground up.